Is Windows 7 good value? Microsoft announced the full details on Windows 7 pricing and availability today, with new PCs bought after 26 June receiving a free W7 upgrade this October and knocked-down pre-orders of Microsoft's new OS starting next month from £49.99 'while stocks last'. 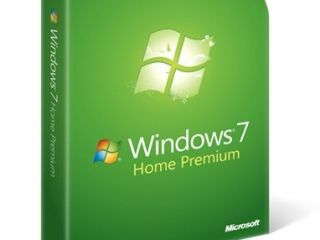 And while the full RRP of Windows 7 Home Premium is £149.99, the £49.99 pre-order deal seems like a bit of a bargain to us. But is it? We asked the editors of two of the UK's leading PC mags to give us their opinion on the value of Microsoft's "best ever" operating system? "£150 for the Home Premium does seem a little pricey to me, but then obvisouly shows how good value the £50 offer is," said Dave James, Reviews Editor over on PC Format. "The £50 offer has to be Microsoft's way of ensuring there's a lot of people upgrading right away," adds James. "That's all well and good for the people that have been using the OS on Beta or RC1, but is it going to encourage the mainstream audience, who are already using Vista, to purchase a new OS which to them probably looks the same?" The PC Format man agrees with Microsoft's John Curran, in that "anyone who has been running the Beta or RC1 OS has been more than impressed and I think they are the ones that are going to rush out and make sure they get the 'limited time offer.'" "At £50 it does make Windows 7 a must-have upgrade, the only problem is how long will those £50 'supplies' last?" "It looks like Microsoft is encouraging people to get in on Windows 7 early," agrees Martin Cooper, Editor of PC Plus. "Under normal circumstances I say this isn't necessarily a good idea," he adds, with little more than a nod to the persistent problems that dogged the launch of Microsoft Vista a few years ago. "With something as critical as your OS, if you are a serious user, you're best advised to sit tight with what you've got, what you know and what you can trust. When the new OS has matured and the rough edges have been knocked off, buy and upgrade. It's the safest approach." However, Cooper adds, "these aren't however normal circumstances…we've been using the beta versions and release candidate and they seem rocks solid. As such, I'd say cash in on the £50 pre-order deal in July." Let us know what you think? Will you pay £50 to upgrade next month? Or will you sit tight and wait until you upgrade to a new PC?